Heard about branding tattoos? 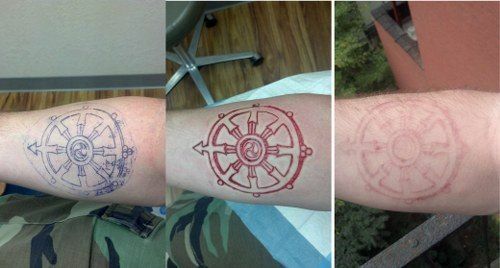 Branding is a primal form of body modification which involves burning of skin with hot or cold metal instruments to create designs get a permanent body tattoo. Since piercings and tattoo have gained acceptance in our society as forms of body art, people have started moving towards old and traditional methods of body modification. Yes! Branding is nothing new, it was introduced in England during the Middle Age as a punishment for severe crimes. 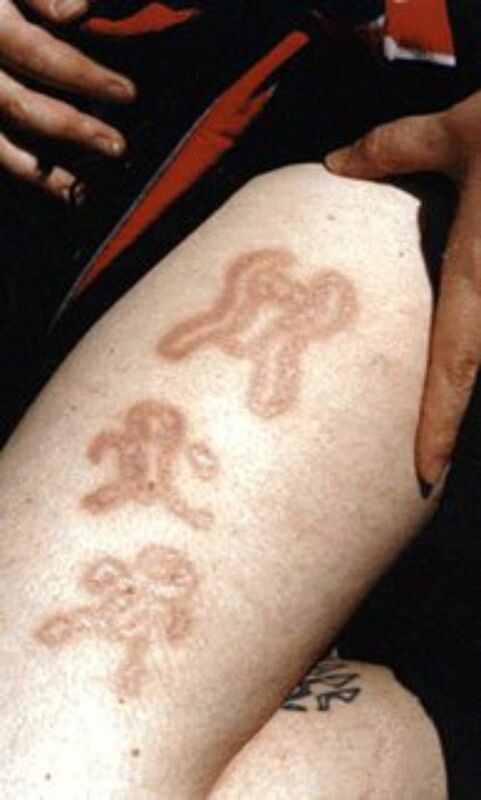 You might have also heard of cattle marking which is another form of branding. While animal welfare laws have outlawed branding of livestock, there is nothing stopping us humans to voluntarily get their skin burnt, that too by paying someone, to make a fashion statement. Here are some amazing branding tattoo designs and some facts about branding tattoos. 1. Branding can be traced back to the times of slavery. 2. It was a form of identification for humans as well as animals. 4. In modern times it has been adapted as a form of body modification. 5. Legalities related to branding is still a grey area. 6. 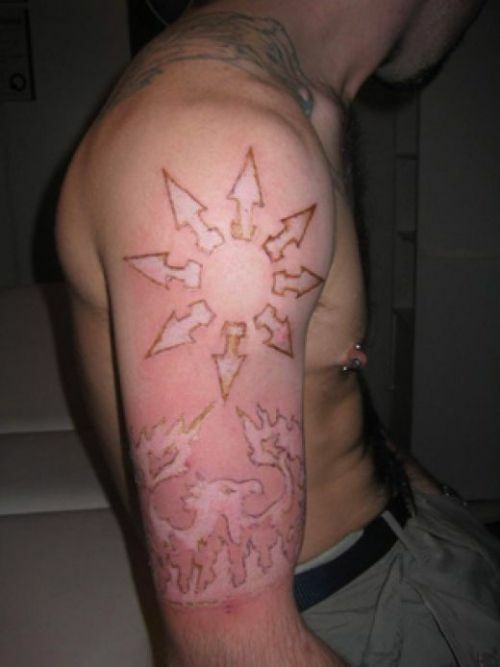 One can create variety of designs through branding just like scarification. 7. Branding is done by two methods. 8. First is strike branding. 9. 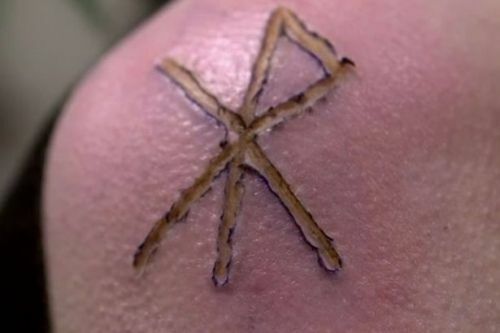 A small piece of metal is heated and pressed on the skin repeatedly. 10. Second is cautery method. 11. A hot scalpel is used to trace over the design. 12. It causes third degree burns to create a permanent tattoo. 13. Other methods include cold branding and solar branding. 14. Branding is virtually irreversible. 15. No matter how painful it sounds branding is fast becoming the new tattoo.